Almost every kid dreams of having a dog. However, for children with special needs, having a trained therapy or service dog might be the best way for them to reach their potential. There are about 500,000 service dogs in the United States that help people each day. These dogs go into schools, hospitals, and businesses with their owners to provide care, protection, and a calming presence. Without these highly trained dogs, some children would have physical and emotional health problems that might keep them at home. Finding the right dog is crucial. You might think that small dogs are best for children because of their size; however dogs like Labradors make great service dogs due to their high intelligence and overall temperament. Other important factors that can turn an average dog into one with a critical job include personality, size, and coat. 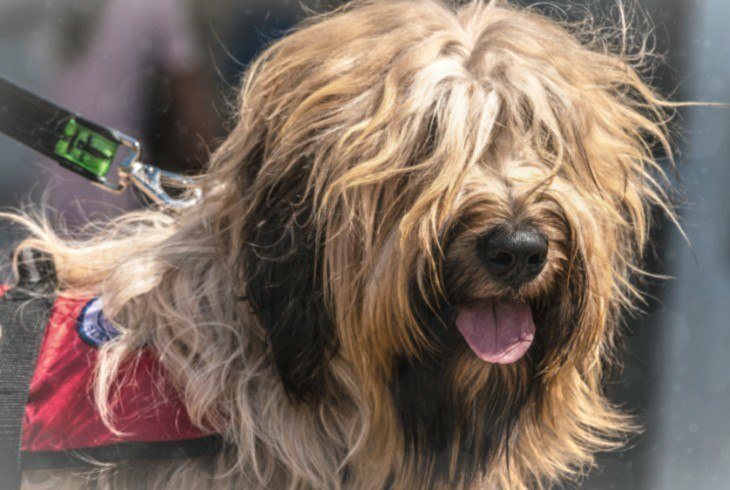 No matter the breed of the dog, if they have the desired traits and complete the rigorous training, they might be on their way to being more than just a companion. Everyone knows what a standard run-of-mill family dog looks like. But, could you spot a therapy, emotional support, or service dog out in public? There are major differences in these job types that canines fulfill. Therapy dogs can provide companionship and lessen the effects of emotional trauma. They’ve been used for soldiers who come home from war with post-traumatic stress disorder, also known as PTSD, for years. These skilled dogs can also help children who suffer from anxiety or depression. Another excellent service therapy dogs provide is a pair of non-judgmental ears for children who have trouble with reading. Programs like Reading with Rover help others start their own reading programs in the Seattle area. Emotional support dogs are prescribed by a licensed mental health professional and give support to a single child with special needs. The therapist, psychiatrist, or psychologist specifies what the dog will do for the child, such as easing anxiety. Service dogs are trained to perform specific tasks for just one child. They might be trained how to detect low blood sugar or a seizure before it starts. Other service dogs are taught how to recognize infections, cancer, or the beginning of a migraine. Service dogs are often in a vest with the words “service dog” to let the public know that they are on the job. How Can a Dog Help? Autism is a range of conditions that cause a child to experience challenges with repetitive behaviors, social skills, and verbal and non-verbal communication. Autism affects one in every 59 children in the United States and can cause the child to have outbursts of behaviors that can be challenging to control. Many children with autism go to classrooms with special education teachers who are trained in applied behavior analysis and other specialized skills. 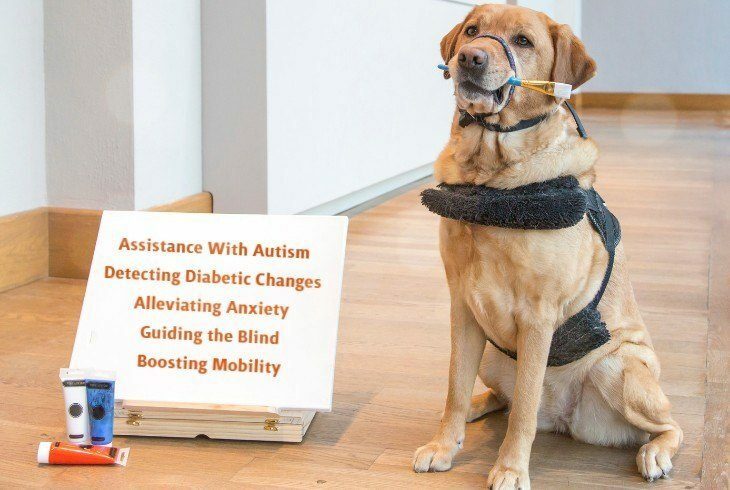 Dogs can offer many levels of autism assistance. They might be trained to intervene if the child is displaying unwanted behaviors by laying across their lap to help calm them and ease their fears. Another strategy used to help calm children with autism is music, as it can heal their stress and anxieties. Because children with autism are prone to wander, dogs are sometimes used to track and locate the child. They can be trained in search-and-rescue skills so that they are prepared to find the child if needed. Children with diabetes much watch what they eat to keep their blood sugars within a healthy range. Most diabetics use diet, exercise, and medications to achieve this. However, a diabetic alert dog is another tool that can help children with diabetes stay well. These dogs are trained to smell the chemical changes that happen in the body when insulin levels decrease or rise. 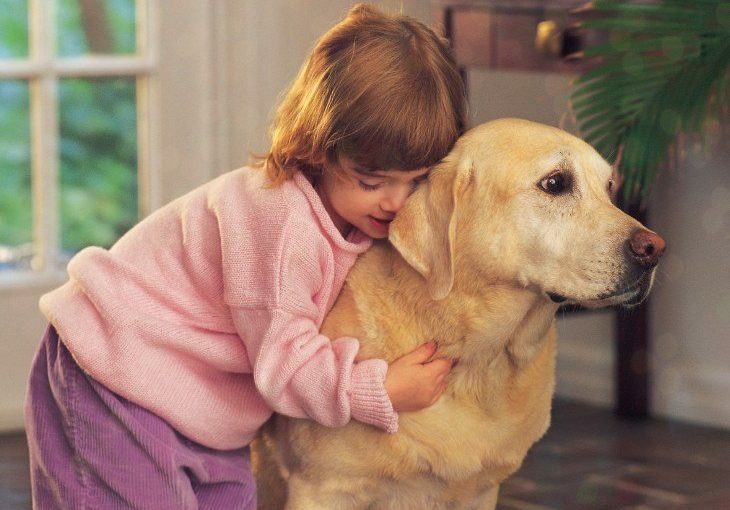 Most trained dogs can sense a change in the scent of the child before they start showing outward signs. 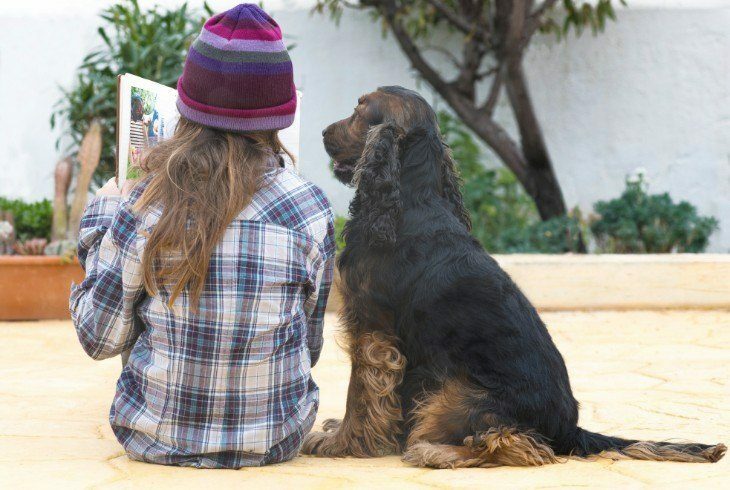 The dog then alerts the child, their parents, teacher, or other caregivers so that they can attend to their health needs promptly. Anxiety can be a debilitating condition for many children. Parents often struggle to help anxious children because they want to protect them from discomfort. Interacting with dogs can boost a child’s mood and minimize stress levels. Dogs help with anxiety by providing physical touch and unconditional love. Dogs for anxiety can also offer a sense of safety and security to the child that even a parent or other adult may be unable to provide. Dogs have long been used to help visually impaired people get around. Organizations like the MIRA Foundation, work to provide guide dogs for eligible blind children who are between the ages of 11 and 16 free of charge. However, many children aren’t lucky enough to find an organization like MIRA, making it imperative that parents and families plan for financial needs, like a dog and other equipment for children with special needs. Guide dogs help those who are blind or visually impaired navigate the world around them. They might help them avoid obstacles, stay clear of traffic, and alert them to curbs and steps. Guide dogs wear a harness with a U-shaped handle that allows the dog and their blind partner to communicate quickly and navigate the world around them. Children who use wheelchairs might have trouble standing or walking. Many children with limited mobility have these conditions at birth and can benefit from a mobility assistance dog throughout their lifetime. Limited mobility can make picking up items that fall or performing tasks around the house challenging. However, with the help of a trained dog, these children can function independently. Carrying items the child needs in a backpack. Alerting a parent to needs. However, these dogs aren’t only trained to be an extension of the child’s arms and legs; they also provide spiritual and emotional support to their owners daily. It’s critical to remember that these pooches need a lot more than basic brain training for dogs to meet the needs of the children who own them. They have learned that their role in life is to serve and protect. Take a look at any service dog out there, and you will find an animal that is happy to help the child that needs them most.